May brings some chills and thrills to TDS TV on Demand, lead by the spine-tingling horror film, “Rings” and the latest chapter in the “Resident Evil” franchise. On the other end of the spectrum, animals lovers will adore the sweet and lovable “A Dog’s Purpose.” And fans of sports films will be beguiled by the quirky and engaging “Tracktown.” Finally, for adults there’s “Fifty Shades Darker” – the second of best-selling author E.L. James’ “Fifty Shades” films to hit the big screen. Available May 2. Rated PG-13. This sequel to “The Ring” is a good horror/mystery film (well, really the second sequel after “The Ring: Two”). “Rings” is burdened by the fact that the original was one of the scariest films in the last 20 years—and that’s a lot to live up to. In this latest installment of the franchise, the essential elements of the original still exist—watch a video and you die in seven days. 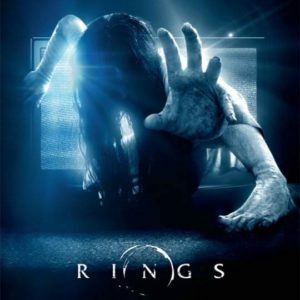 “Rings,” however, delves deeper into the franchise’s mythology, making the film a bit more of a mystery than a horror flick. Available May 2. Rated PG. Earnest, heartwarming tale of a dog trying to discover his purpose in life over the course of several lifetimes and owners. “A Dog’s Purpose” is overly-sentimental and predictable at times, but it is an entertaining tearjerker that will touch everyone (especially dog owners). Expect to smile a lot and have plenty of Kleenex on hand. The cast includes Josh Gad, Dennis Quaid and Peggy Lipton. Available May 2. Rated R.
The latest “Resident Evil” film picks up immediately after the events in “Resident Evil: Retribution.” The formula is pretty standard now—lots of monsters, lots of outrageous stunts, and lots of action. The film knows not to take itself too seriously, and Milla Jovovich continues to rock as the world’s greatest slayer of the undead. Check your brain and enjoy. Available May 12. Not rated. Real life Olympian Alexi Pappas co-wrote, co-directed and starred in this quirky and adorable little film about a lonely long-distance runner. Pappas plays a talented runner preparing for the Olympics, only to find her life change when she is forced to take a day off from her grueling training schedule. “Tracktown” is a unique sports film—funny and cute while not missing out on the heartbreak and loneliness that comes with the life of a dedicated athlete. Jamie Dornan and Dakota Johnson return as Christian Grey and Anastasia Steele in the second film based on the worldwide bestselling “Fifty Shades” phenomenon. There’s really not a lot about this movie to review. It is very much an adult film, and if you find the books (or the first film) of interest, this is going to be in your wheelhouse. Others should probably beware.